What Does Revelation 2:7 Mean? On at least 3 occasions in the gospels, we hear the Lord Jesus giving a warning.. on the importance of hearing His message: He that hath ears to hear, let him hear. 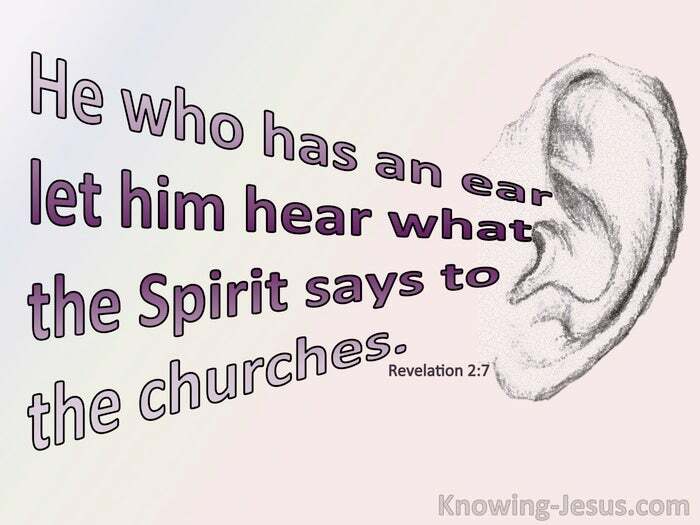 However, in a couple of chapters in Revelation we have this same warning given to the Church, seven times, with additional instruction: He who has an ear, let him hear what the Spirit says to the churches. When God says something, we should pay attention, but when He makes it a repetitive command, we should recognise that He has something very important, that we should not miss. 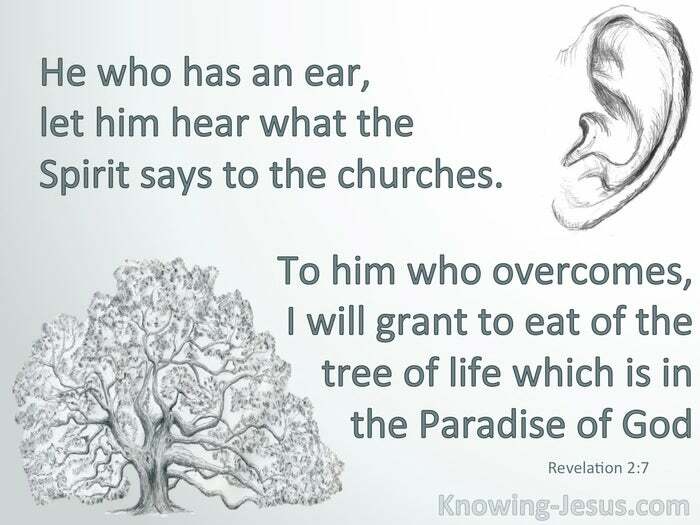 Every one of the seven Churches in Revelation were instructed to listen.. and pay close attention to ALL that the risen, ascended, glorified Lord Jesus had to say to ALL the Churches. Each Church was given some important information, which is vital to our individual spiritual growth and our collective Christian witness. 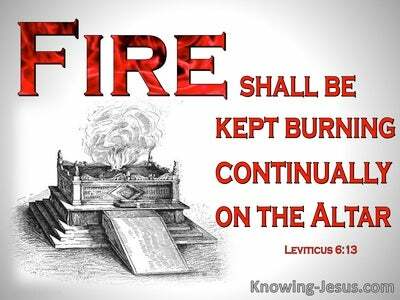 The first time this warning was heard, in this series of epistles, was given to the Church at Ephesus. Despite their commendable works, praise-worthy witness and patient endurance in times of deep distress, it must have been a blaring wake-up call for these Ephesian Christians. to be so severely scolded for leaving their first love. Their first flush of love and deep devotion for their Lord, was quickly dampened by a flurry of frantic service and self-imposed religious tasks. They had to be urged to remember the beauty of the Lord, which they enjoyed in the daybreak of their great salvation. They were to recognise the height from which they had fallen. 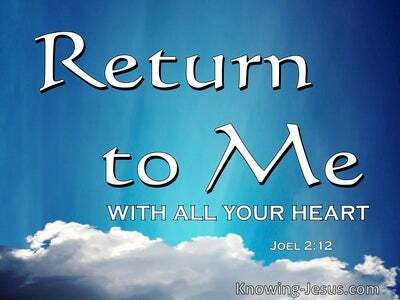 They were to repent of their careless attitude towards their Saviour - and they were to return to the devoted service that characterised the early days of their new life in Christ.. and their deep love for their Lord. He who has an ear, let him hear what the Spirit says to the churches, is a warning that every Christian should consider on a daily basis. When the Lord Jesus corrects us, He does not leave us comfortless, and goes on to promises: to the one who overcomes, I will grant to eat of the tree of life which is in the Paradise of God. What a great privilege to know that the Tree of Life, from which man was barred due to sin, is once again freely accessible to those that live godly in Christ Jesus. Some years earlier, Paul had written extensively to this same Church to rejoice in their divine election, their adoption into the family of God, the privileges of the indwelling Holy Spirit and the spiritual blessings that have been poured out in such abundance, on all who have trusted Christ for salvation. 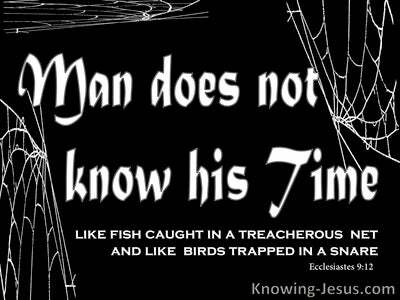 Paul even acknowledged their desire to maintain sound doctrine and expose false teachers. How sad, that only a short while later, they had to be rebuked about their lack of love.. and receive this blistering warning, from the risen Lord Jesus, Himself. But what a gracious God we serve.. that even when we fail in our devoted service or become waylaid by the mounting pressures we inflict on our own Christian service, He is ready and willing to warn us of our failure.. to encourage us to listen to God's voice - to instruct us to put our priorities in order and to command us to return the Lord Jesus to His rightful place in our lives. What a privileged grace - that even when we fail in our Christian witness, God is faithful and just.. and gives us ample opportunity to remember that... while we were yet sinners Christ died for us, and that it is by His grace, we have been saved - through faith. May we quickly recognise any spiritual lack in our own lives, and repent - and to return into sweet fellowship with our Father in heaven. What a privileged certainty - to know that we have been given all we need for life and godliness in Christ.. and to know that we have a citizenship in heaven, an eternal inheritance that will not fade away - and the right to each of the tree of life, which is in the Paradise of God - all because we trusted Christ for salvation.